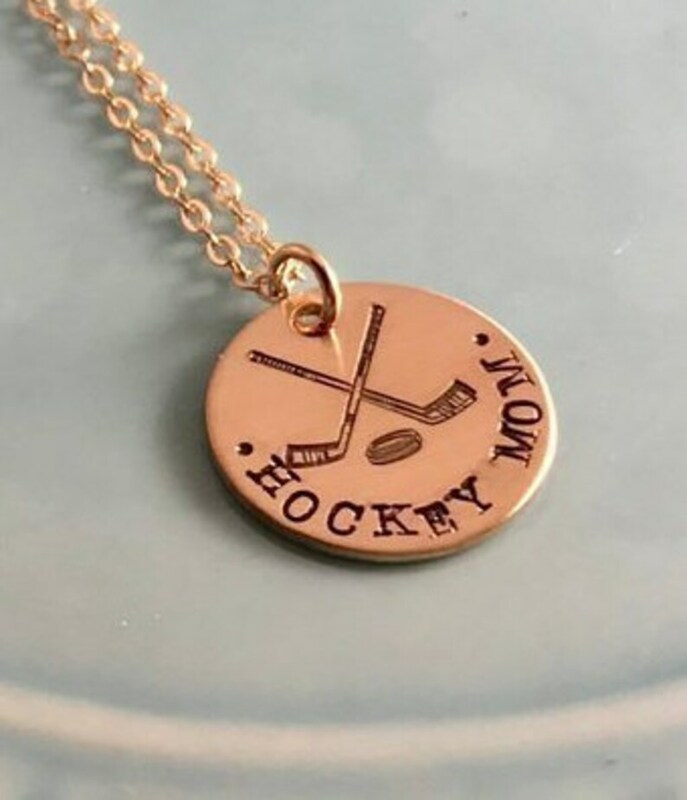 This hockey mom necklace includes a 3/4" 14K Rose Gold-filled round charm stamped with my exclusive crossed hockey sticks design as well as "Hockey Mom" in my typewriter font. I have many other sports available, and I welcome custom orders using my other sports that I offer! The chain is an 18" rose gold filled cable chain.